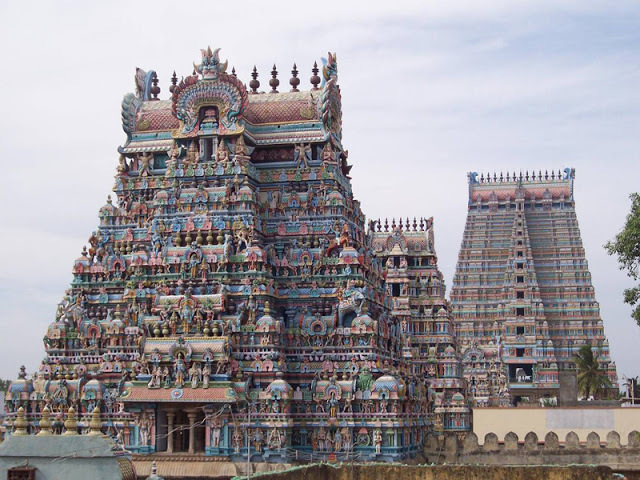 At Srirangam , there lived a man who was serving at temple . 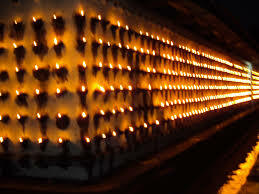 His job was to light all the lamps at the huge temple of Srirangam . He used to keep the lamps topped with oil and ensure they were maintained in perfect condition . Under constant vigilance he had to ensure the lamps are lighted effectively without any flaws. He had free access to enter the temple and light all the temple lamps being the temple servant . He had a peculiar habit of addressing the LORD daily about how his day was and was he treated well . 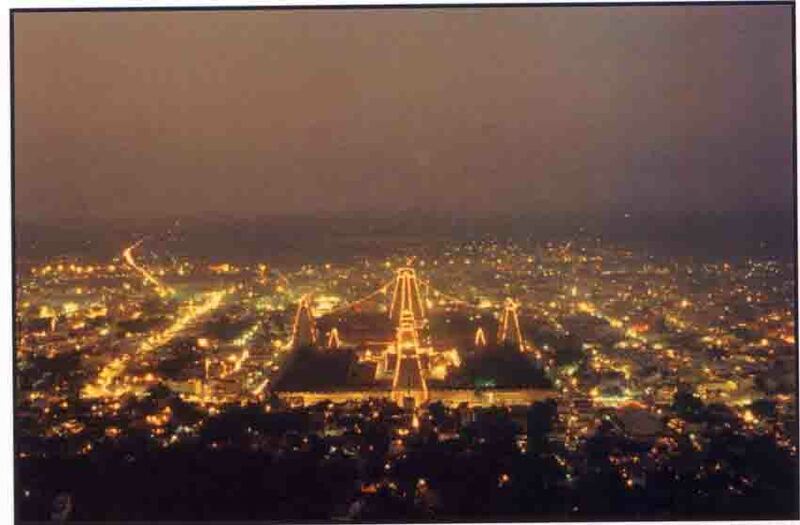 It was almost routine especially during festivals when LORD had to be amongst HIS devotees . For his behaviour he earned a title Pichan ( mad person ) . Unmindful of whatever people spoke of him he continued to greet the LORD and converse with utmost sincerity and faith . 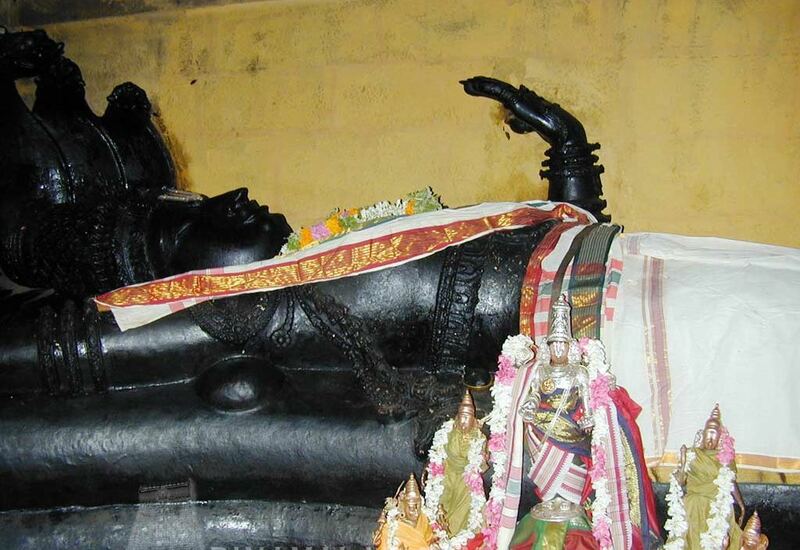 Lord Ranganathar also got used to HIS devotee’s greeting . Days became months .Months turned to years .Lord out of abundant mercy wanted to reply to HIS dear devotee . 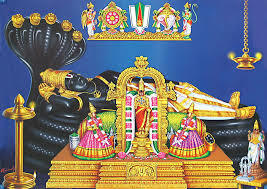 It so happened one day Lord spoke from his Archa thirumeni ,and this also happened regularly .Lord was answering his dear devotees queries .It was more of vatsalya bhavam inquiring the well being of each other . 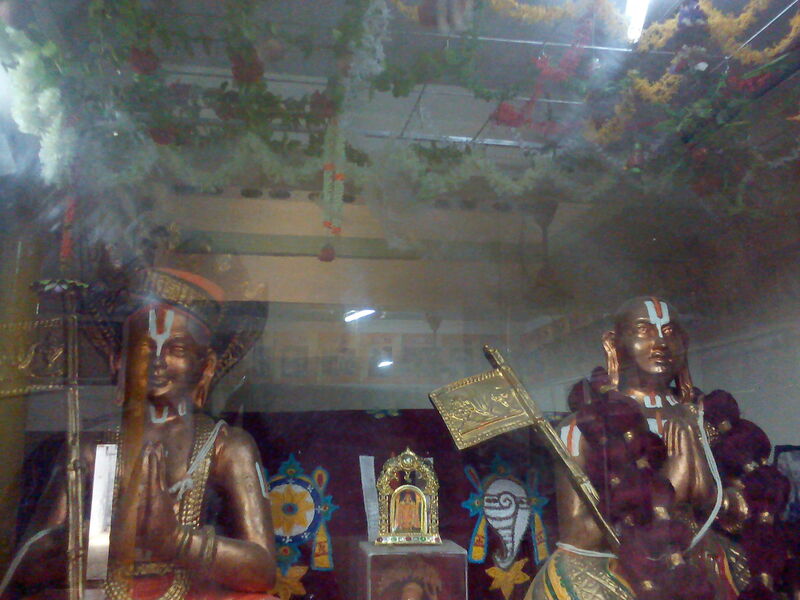 There was no barrier in the divine exchange of speech .A lowly employee of the temple speaking to the LORD who was replying too .To the devotees who were witnessing this man standing before the LORD and apparently talking to himself appeared to be a mad person conversing with himself and they called him “Picchan” ( a mad man). Combining his job title and popularity of remaining , he came to be known as “ThiruviLakku Picchan”. One day, while carrying out his daily chores , Picchan conversed with the Lord about the great people and the huge crowd attending the festival in the temple . All knowing Compassionate Lord wanted to draw out his opinion about the great people. Pichan politely replied Oh Lord ! even all these great men had their own weaknesses and it was very confusing to follow them. He submitted that he was very happy with the small service gifted to him by his Elders and seek no favors other than being near HIM always . All glories to this great devotee who had the fortune to enjoy such intimate relationship with the Lord himself who listened to Him . Indeed it is a coincidence to read this article sitting next to Sri Ranga temple right here in Srirangam at this point of time. What a blessing and what a mercy! I don’t know what to say to you Sir! Words cannot express my feelings! Heart touching incident. This shows the pure bakthi. . The fact made me to think more about NAMPERUMAL very often. Thiruvilakku Pichan enna punniyam seitharo Azagiya Manavalundan converse Panna!! Hari Om! 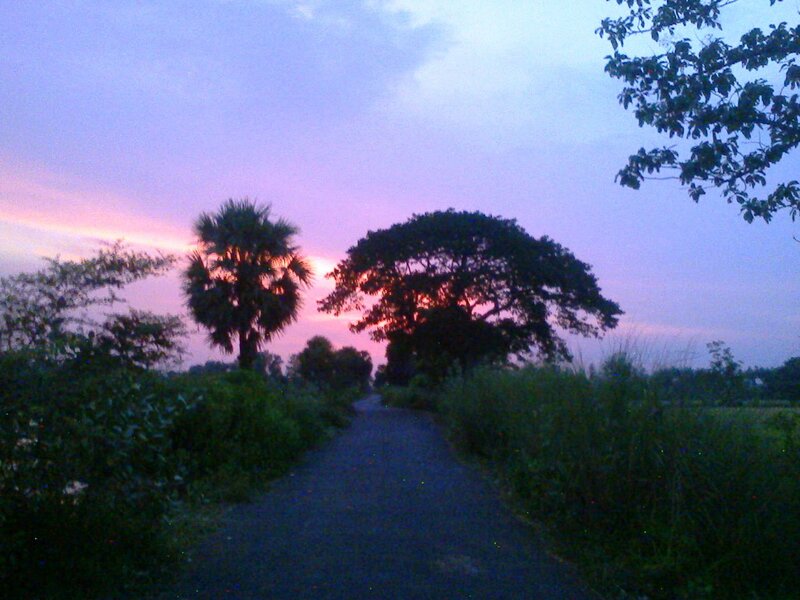 SERENITY experienced by Tiruvilaku Picchan can never be enjoyed by the worldly minded people. Picchan is mad with Lord Rengan! Kali yuga people are mad with worldly wealth – money, jewels, lands etc. Both are mad only – objects chosen different – one permanent the other temporary that appears to be for ever – Illusion- Perumal prarptham needed to understand all these spiritual concepts. Very nice information sir, even now I have seen sincere devotees conversing with the lord.others may feel they are mad, but supreme lord wudnot think like that.thanq again.